If you don't want to share accommodation we have apartments for you. If you prefer not to share. You will have your own apartment with private bathroom and kitchen. Use this form and the shopping cart to make up your plan and budget. Add the courses, acommodation and other services to the cart, knowing there is no compromise until you give us your payment information and the School confirms your booking. Check-in and check-out only on Sundays. 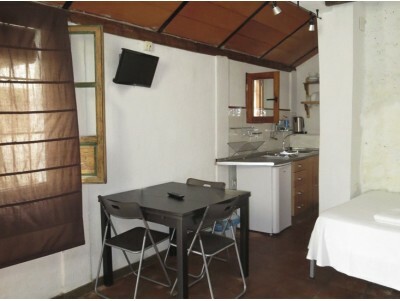 This type of accommodation is the most suitable for those who need more privacy and do not want to share with other students. They have one bedroom, living room, kitchen and a bathroom. The apartments are designed for one or two people. They are fully equipped (washing machine, household items, sheets, blankets, towels, etc.) and all utilities (electricity, water, heating, towels, etc.) are included in the price.